Organic food coupons are a sweet, little reward that make buying things we like or maybe want to try even easier to swallow. By throwing natural and organic food coupons into the mix, we get to save money, eat well, and support extra special food producers and organic food brands. And just as committing to eating more natural organic foods simplifies our grocery shopping, seeking out organic coupons for the foods and brands we especially like can further shape our eating and buying habits for the better. Saving money is a good purchasing motivator and makes for a nice "help us, help you" scenario. 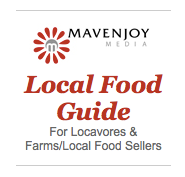 Mavenjoy Tip: How about coupons for shopping at farmers markets? Yep! See how you may be eligible. When natural and organic food brands and businesses dole out food coupons, they encourage brand loyalty, repeat purchases and help introduce new customers to their foods and existing customers to new products, plus we get to eat better without breaking the bank. So whether free grocery coupons, online coupons or printable coupons, Mavenjoy loves sharing ways to save while eating well and making a difference, especially from some of our favorite companies. We try sticking with independent brands and businesses that really "wow" us to bring you as many natural and organic food coupons and savings opportunities as we can dig up. Stay tuned for more. Have you found some great organic food coupons? Share the joy here. A multi-coupon source for pages of savings and this one packs a generous one-two punch: you get to clip and print free coupons and discounts while funds are donated to your favorite local charities, schools, or community services (that you get to select) every time you redeem a coupon -- all at no cost to you or your non-profit. Save and give! Another brand favorite, Bob's Red Mill is an employee-owned company where Bob and his wife can still be found at its original mill store. Lots of organic and whole grain products + an impressive line of gluten free goods too. Get 10% Off on Wild Seafood & Organics at Vital Choice + Free Shipping On Orders $99+ Using Code: VCAF10 at Checkout! Several pages of natural and organic coupons for you to select by clicking on as many as you like (or all) and print. Many $1 and even $2 coupons too! 2019 Update: Sadly, Mambo Sprouts has moved on and now directs customers to a site for natural and organic savings operated by a business partner, Grocery Coupon Network (GCN). Thankfully, we can still find and clip coupons from familiar natural and organic brands, albeit mixed in with conventional brands and foods. Mavenjoy Tip: You can also subscribe to GCN's email newsletter and gain first available access to the coupons hot off the press + receive extra savings offers too. Free grocery coupons for things like organic milk, eggs, butter, cheese and more. Printable coupons for Whole Foods -- sometimes 30-40 coupons! A wide variety of products from dairy and grains to soups, cereals and snacks from fifty cents to two dollars! **Update** Now get additional digital coupons via the new Whole Foods app. Simply show your cashier the in-app digital coupon bar at checkout and once scanned, all eligible coupons will automatically be applied to your purchase. As one of our favorite brands, we're thrilled Amy's is sharing coupons for some of the best vegetarian (though you'd never know it) foods on the market and is still a privately held, family-owned business supporting sustainable agriculture. So many options for stocking your freezer and pantry (in BPA-free cans, no less) made with delicious organic and non-GMO ingredients. Favorites include her chilis, burritos and enchiladas! Amy's provides a wealth of products accommodating special diets too -- gluten free, dairy free, heart healthy, low sodium, and more. Free grocery coupons on all-natural dairy free products including almond, cashew and coconut milks, frozen desserts, creamers and yogurts. Mavenjoy (Dairy-Free) Picks: So Delicious Coconut Milks in Original and Vanilla are fantastic in teas and smoothies and make great milk alternatives in pancake and cornbread recipes! And So Delicious Coconut Yogurts in Raspberry and Blueberry are super yummy especially in this breakfast quick pick recipe. Printable coupons for natural and organic deli cold cuts, hot dogs, bacon, breakfast sausages and more. Gluten free foods too! Big savings with printable coupons for organic salad mixes, greens, fruits and more -- some super new products too like fresh mixed baby kales, power greens and frozen vegetables too! **Update** EB Farm has updated their coupon program, access to printable coupons are sent via email (approx. weekly!) by signing up here. For natural and organic food coupons on items like soups, beverages, potpies, pizzas and more. **Update** Sign up for their newsletter to receive frequent coupons and special offers. Mavenjoy Picks: Pacific's Chicken Broth is a very worthy substitute for homemade stock and a definite pantry staple and the Creamy Butternut Squash Soup and Roasted Red Pepper Tomato Soup are treats unto themselves -- they're gluten free and organic too! Food coupons on items such as spices, seasonings, baking mixes, marinades, dips, dressings and more. Check out why we love Simply Organic/Frontier Co-Op for shopping organic bulk food favorites too. 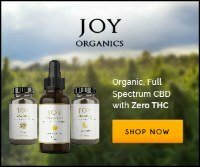 Note: Simply Organic's coupons page is under construction, check out great prices on their products at this shopping favorite. Organic food coupons including snacks, cookies, candies, coffees, teas and more. **Update** Newman's Own has recently updated its website and we are awaiting a response about access to its coupons. Read our rave about Newman's Own Organic pet foods. Ok, so technically not food but an outstanding company that deserves a big shout-out especially for its commitment to providing coupons for its excellent green cleaning supplies, baby products and more. Just sign up for the newsletter and get coupons + giveaways delivered right to your inbox. Load up your lunch box with the good stuff and save with various coupons including brands like Applegate, Annie's and Rudi's! If your business offers sustainable goods or services and has special offers for our readers, please contact us here. Have you found other great organic food coupons or smart ways to save for eating healthier? Please share your go-to source, brand or practice for saving money on your favorite organic foods. Feel free to include your tips and ideas for saving more while eating well and supporting great products, brands and businesses too. Please include information about what kind of food or brand the coupon or coupons are for and where to find the coupon(s). We'd also love to learn about how you use this food (recipes, preparation tips, etc.) or why you like this particular brand or kind of food. Share any other savings tips and practices for eating healthier too! It will appear on a Web page the way you enter it here.